Sensex, Nifty on Tuesday: The stock markets ended Tuesday's trading session in the green. The S&P BSE Sensex closed at 35,378.60, up 114.19 points. Sensex, Nifty on Tuesday: Nifty50 settled at 10,699.90 mark, with a gain of 42.60 points or 0.40%. The domestic stock markets ended Tuesday's trading session in the green. The S&P BSE Sensex closed at 35,378.60, up 114.19 points or 0.32 per cent. The broader Nifty50 settled at 10,699.90 mark, with a gain of 42.60 points or 0.40 per cent. Thirty two out of 50 Nifty stocks ended with gains. 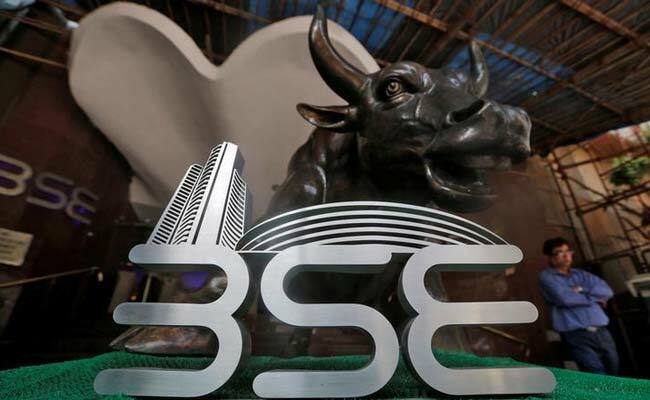 The top gainers in the Nifty pack were Cipla (4.21 per cent), Bajaj Finserv (up 2.06 per cent), Maruti Suzuki (up 1.90 per cent), Lupin (up 1.87 per cent), and Sun Pharma (up 1.69 per cent). In the sectoral space, Nifty Pharma was the biggest gainer as it ended 2.10 per cent higher. Nifty IT and Nifty Auto indices gained 1.07 and 1.06 per cent respectively. Banking stocks, however, fell as public sector banks shrugged off government's idea of setting up an asset management company to resolve bad loans above Rs 500 crore. The Nifty PSU Bank index ended 0.78 per cent lower as all 12 declined. In the Asian markets, China's Shanghai's bourse hit a 2-year trough though and Hong Kong dived as much as 3.3 percent at one point to nine-month lows. However, both indexes inched higher towards the close as the yuan recovered. Japan's Nikkei edged to a near three-month closing low, according to a report by news agency Reuters. MSCI's world index rose 0.2 per cent, inching further off recent 2-1/2 month lows. Meanwhile, in the European markets, STOXX 600 index fell 0.8 per cent. Equity futures for the U.S. S&P500 and Nasdaq indicated a firmer session after Wall Street ended higher on Tuesday for the third day in a row.